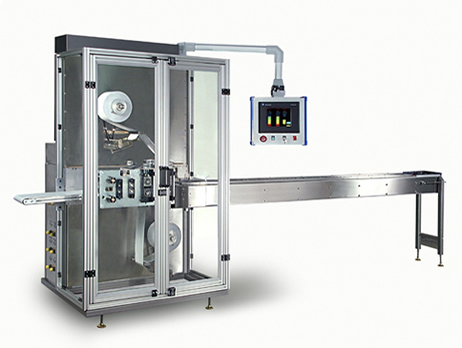 Wrapade’s Horizontal Line of machines were designed to package low profile products including, but not limited to, medical devices, stir sticks, condoms, transdermal patches and testing kits. These machines were designed to accommodate web widths of 6” to 20” and can handle virtually any heat sealable or cold sealable material. All Wrapade machines have been engineered for quick tooling changeovers and are Servo-driven on an Allen Bradley ControlLogix Platform. The machines are controlled by the HMI and now feature Ethernet Connectivity, allowing you to check the machines’ status from your office. Wrapade machines follow all FDA guidelines, are CE compliant and are fully validatable. Infeed and Outfeed Conveyors are available in different lengths, depending on our customers’ needs. Links to More . . .